Greg Little was born in Richmond, Virginia on September 17th, 1961. He grew up in the Richmond area and started playing trumpet in the middle school band when he was ten years old. Before the end of 7th grade he had formed a band loosely patterned after Chicago. The band met after school and played transcriptions of Chicago, Seals & Crofts and Maynard Ferguson songs written out by hand on notebook paper! At age 15, Greg played his first paid musical gigs in Moose and Elk Lodges, local bars and hotels with a Top 40 band called Fritz. Two years later, in 1979, he graduated from Manchester High School, the recipient of the Louis Armstrong Jazz Award. After high school, Greg attended Virginia Commonwealth University as a Music Performance Major. At the end of his second year, he left school & scholarships to go on the road with Grammy Award Winner, Stephanie Mills along with his VCU classmate Steve Wilson. The band played in large theater and colliseum venues across the U.S. including a two-week stay at Sun City, South Africa, opening for Neil Sedaka. Greg also appeared on Stephanie's album "Tantalizingly Hot." But Jazz was his strongest interest and after two and a half years in the Stephanie Mills Band, Greg decided to re-focus and return to VCU as a Jazz Studies Major. While at VCU, Greg studied and played concerts with Ellis Marsalis, Ed Blackwell, Frank Foster, Benny Carter, Jackie Byard and pop groups like the Four Tops, Temptations, Ojays, Four Freshman and others. Some of his class and gigmates around this time were Steve Wilson, James Genus, Carter Beauford, Clarence Penn, Ronnie and Carl Jenkins, John D'Earth. While playing in Ellis Marsalis's Quintet at VCU, Greg started writing and under Marsalis's inspiring tutelage, found what was to become one of his most meaningful pursuits. In 1989, he left Virginia to play on a cruise ship. The ship turned out to be an ideal, closed environment to work out his sound and concept. 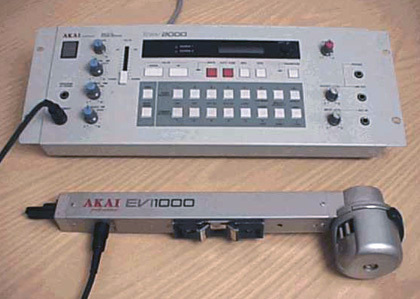 Soon after arriving on the ship, Greg aquired an instrument invented by Nyle Steiner and manufactured by Akai called the Electric Valve Instrument or EVI. Another piece of the puzzle had fallen into place. He found the EVI could go places musically that the trumpet could not and began to put time into mastering it. During this period he also spent a great deal of time working on original compositions. Greg stayed on the ship for 6 years, writing over 130 songs while at sea as well as producing a tape of original island-influenced music. He also met his wife Laetitia there. In 1995, Greg & Laetitia left the ship and moved to San Francisco. There, Greg freelanced with numerous musical groups and styles as well as teaching in private schools. He was also active in the recording studio playing on CD and commercial music projects. It was there that he started playing in Salsa bands which along with Latin Jazz are still active interests. During his stay in the San Francisco bay area, some of his favorite musical moments happened with jazz artists, Michael Zilber, Mark Levine, Steve Smith & Freddie Cole among others. In 1998, Greg and his wife moved to Orlando, Florida. Soon after arriving, Greg landed a full-time gig in the "Kids of the Kingdom" Show at Walt Disney World. He now freelances as well as leading his own groups. He also plays studio sessions for Salsa, Merengue, jazz and pop CDs and hiphop re-mix projects such as NSync and C-Note. In 2003, Greg's debut CD, DREAMWALKER was released on Green World Music. Recorded with some of San Francisco's finest musicians, the CD features ten original compositions written by Greg, featuring his Trumpet, Flugelhorn, EVI and Vocals. On March 14th 2004, Greg's daughter Oceane was born. On February 7th, 2007, his son Maxime was born. Recently, Greg has put together a group that has started to take a life of it's own. RENDERGLOW is a quartet that borrows sounds and grooves from the modern era, but turns them inside out with the time-tested method of improvisation. Check out photos from recent gigs in the Photos tab and stay tuned for soon to come, recordings and video.